When selecting our executive slate, our coalition centers the community members who have proven their commitment to the work. We consider candidates' experience in grassroots organizing, qualifications within the ASUC, intentionality in values, and potential to be the best advocates possible for our campus community. We understand the executive offices to be platforms that can uplift community needs, so we choose wisely. Our 2018 Executive Slate embodies the politics we strive to uphold and are proud to announce. Vote CalSERVE! "The presidency is about leadership. 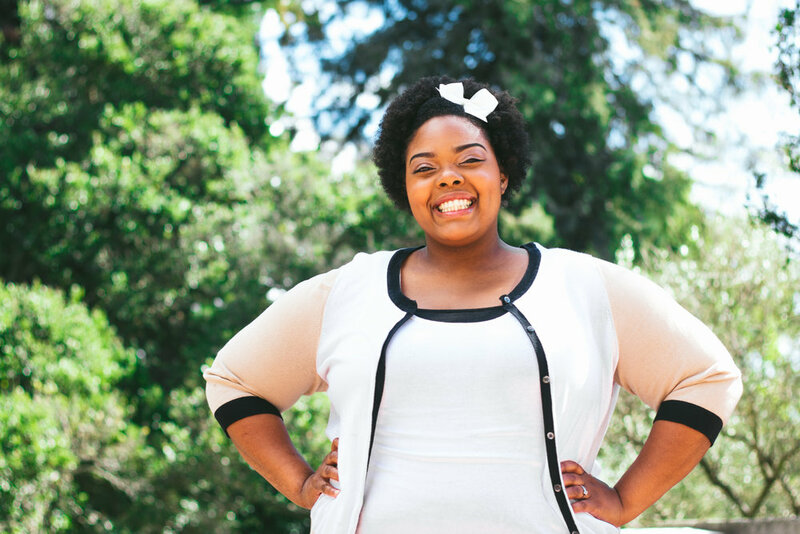 Which student will lead the ASUC and who will help set the agenda? I see the office of the president as the platform I can and will use to uplift the intersectional and complex needs of our entire student body. It is not a pedestal to rest upon, but a platform to charge forward an aggressive agenda that strives to improve the welfare of all campus community members. My experience within student government and organizing circles affords me the qualifications that I know will drive the ASUC toward effective, community-based advocacy within UC Berkeley. I understand the office of the president to be an opportunity for our students to feel the power that is vested in our minds and see that transform the UC Berkeley experience." "The External Affairs Vice President of the ASUC is essentially the representative for students around issues that go beyond the scope of this campus. I am ready to elevate and empower the voices of our students at the local, regional, state and national level. Working in tandem with other UCs we can harness the power of advocacy to get meaningful work done. My experience with organizing at the UC and local level is what drives me to want to continue doing the work of advocating with students beyond UC Berkeley." "The Academic Affairs VP of the ASUC is a powerful means of instituting education equity on the Cal. Though it has been repeatedly asserted that university campuses are space that upholds the values of imperialism, that regularly exploit and marginalize specific classes of students, one of the most prevalent ways this manifests is through inequitable academic policy. From the content we regard as having academic merit, to how our university fails to enable the academic success of its most marginalized students. I believe that one of the only ways to enable comprehensive change to this university’s campus culture is to have a seat at the table, to be able to demand that students be chosen over pride, profit, and reputation." My name is Juniperangelica (or Gia). I am a fourth-year transfer from El Monte/Azusa, Ca, transferring from Citrus College. I am majoring in Ethnic Studies, working full-time as a mom to my beautiful 4-year-old and as a program director for Transgender Law Center/GSA Network. I'm current mid-year in my term as an ASUC Senator, working to uplift the narratives and needs of queer/trans students, students of color, student parents, transfers, and other student communities living at the intersections. I am running for ASUC President because I believe in my leadership. I know that skills in advocacy and negotiations are building off of the many national and statewide leadership positions I've held, from the national organizing position I currently hold for the Transgender Law Center to the statewide position I held as the Student Trustee for the California Community College Board of Trustees. I am running for ASUC President because my advocacy is experience based. I know that my perspective as a Latina, queer, transgender woman who is a single mother will strengthen my role as a student advocate; my understanding of basic needs will be rooted in my experience of the six years my family was homeless throughout high school and community college; my drive to help every student feel safe on campus will be informed by my solidarity and partnership with Black/brown communities I've grown up organizing with. The office of ASUC President will be the platform I will use to support and uplift the work already being done by students on the ground. I understand my position to center the voices of students who do not have access to the ASUC and ensure I am doing what I can to support the academic, and holistic, success of every UC Berkeley student. Go bears! Read more about my platforms and goals below! My dedication to pushing forward the work of securing basic needs for students is rooted in my own experience through housing and food insecurity. When I entered Cal, I had already experienced homelessness for six years and understood basic needs to be pivotal in my ability to thrive in academic. As president, I will continue my work in (1) advocating for continued institutionalization of direct services that secure stable housing and food support for students, and well as (2) working to destigmatizing the need to ask for help when students are housing and food insecure. We deserve to have the resources that allow us to thrive at Cal, not merely survive. Safety means different things for different people, but it is just as important for everyone. In my role as president, I will be fostering needed conversation of how our campus leaders can shift the current culture toward an learning environment everyone feels safe in. Community safety will consist of (1) increasing services that secure student safety and (2) reconsidering the role of public safety officers on campus, This includes my current work as a senator in advocating for reform within UCPD, our campus' review board, and student involvement in that process. My goal is to work toward an campus where focusing on academics, and not our safety, is possible. Campus climate is the environment that we exist in that either makes students feel welcomed and valued, or not. As a queer, transgender Latina, I know my experience has not always been the best in terms of feeling a part of the campus culture. Through my presidency, I will continue the work of current ASUC President abdulqadir=morris in uplifting intersectional guest speakers, as well as fostering conversations that delve into free speech. We will work to support the diverse perspectives of all students, without sacrificing the safety of some. I plan to utilize my positionally to also initiate various public education campaigns that challenge the campus community to expand our views and support of various communities who often are silenced. My intentions of the ASUC Presidency can be summed up in my goal of uplifting the overall Cal experience for our students, staff and community members. My work will define what it means to be the #1 Public University in the World. My leadership in the ASUC will support and collaborate with the elected vice presidents and senators to (1) evaluate and improve the academic environment and rigor of Cal, (2) examine and boost the supportive services offered to students, and (3) work to build a university that students not only exist through, but are proud to attend. I will advocate for the needs of our complex student body, while remaining intentional about what the Cal experience can mean for faculty, staff, and community members. My intentions and goals for the ASUC Presidency are rooted in my own experiences as a student who understands the difference between surviving the university, and thriving. My office will be shaped to meet the challenges that so many of us need the president to be; I will strive for a presidency that puts forth an appropriate and aggressive agenda which prioritizes student welfare, and aims for the excellence of the UC Berkeley education. The president must understand the scope of student need, while supporting the existing work of executives and senators who make up the ASUC team of student leaders. My input will frame the ASUC’s agenda and my leadership will support the follow through. While my work plan shifts with the direction of the student body, here is my vision. My office will continue advocacy for the institutionalization of direct/emergency services for students facing immediate housing, food and financial insecurity. This means streamlining the support process for students identified as housing/food insecure to receive immediate and sufficient services until more stable, ongoing support is secured. In my role, I intend to support the securement of adequate funding and space-allocation for basic need services. Parallel to my current work, I intend to push the university to follow through with the housing master plan, emphasizing the need for more housing that is AFFORDABLE. Housing should not be viewed as the solution for more profit, but the solution to housing insecurity. Housing for families and graduates within the UC Village is especially important to me as I balance my undergraduate career and raising my child. My office will lead efforts to connect the UC Village with campus and improve the accessibility of long-term housing for students. As occupiers of Ohlone Land, our work must center and hold conversations to house our students without further gentrifying the Berkeley community, displacing long-term residents. The Cancellation for Nonpayment Policy is a direct obstacle that the university has no intention on repealing. My office will continue aggressive advocacy to end the policy that directly impacts low-income students. We will work with Sproul Hall to also find immediate solutions to protect students from cancellation until the policy is repealed. This means increasing the possibility of being waived from the policy, as well as reforming the financial aid office to guarantee expedited processing of aid packages for students who could not otherwise pay. Public education can and will shift the community’s perspective of basic need insecurity and the need to ask for help. Through campus wide public education campaigns, we will support students in understanding the bigger picture of poverty; using data collected, we will help students understand they are not alone and work to reduce self-shame in utilizing campus resources. Some students need police to feel safe. Some students feel safer without police presence. Our goal is to create an environment that everyone feels and is safe while on campus. We will continue our current efforts and create a community advisory board that engages in trauma-informed conversations, producing competent and in-depth proposals regarding police presence on campus and any major events, per the Major Events Policy. My office will also continue the work in creating the ASUC UCPD Student Police Review and Campus Safety commission that offers students a platform to express concerns, file complaints to peers and work through intense campus events to protect student emotional and mental welfare. Our politics must always be survivor-first. As president, I will hold those in power accountable to implementing trauma-informed policies that demand follow through adequate and meaningful investigations, dismissals and action. Our office will lead the ASUC in holding itself accountable as well, strengthening our conduct policies to ensure that elected student officials are held to the highest standards of conduct and removed when policies are broken. While the rigor of UC Berkeley upholds our reputation, I intend on initiating conversations to transform the unhealthy aspects of academic demand. This will include faculty and students working to reduce the mentality that academics are worth the sacrifice of student mental health. We will host workshops and lectures that help students prioritize wellness and care. As a disabled student myself, I plan to use my positionality within the ASUC to push forward public education initiatives that work to end the stigma of academic accommodations and encourages students in need to utilize DSP accommodations. Supporting students from historically marginalized communities means making sure students of color feel seen and valued on campus. 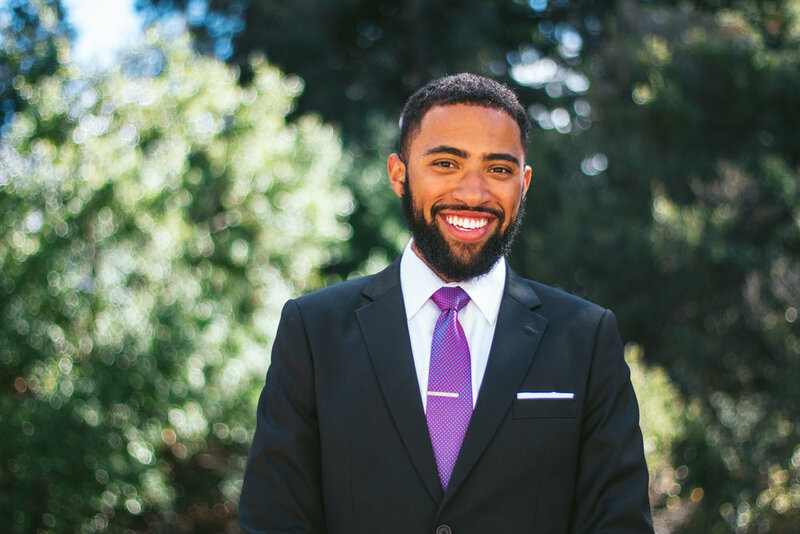 I will continue the Speaker Series facilitated by current ASUC president to invite guest speakers to campus who will spark healthy, community-based conversation. Supporting students of marginalized communities means supporting the work students are doing to recruit and retain their own communities. As I’ve done since my first semester at Cal, which was parallel to the Fight for Spaces campaigns, my office will support each need of QARC and bridges in the continued fight for long-term space allocation. Working within the ASUC has been an emotionally-taxing experience that is rooted in the discombobulation of the institution. As the elected leader of the student government, I intend on working with my peer executives to restructure processes of progress, collaboration and accountability. This includes the work I am already doing in garnering student involvement and investment in campus committees representation. My office will initiate needed trainings and dialogue sessions that will build upon the experience and education of future elected officials to ensure a respectful, less-hostile work environment for all students involved. Hi! My name is Nuha Khalfay. I am a third year majoring in Public Health with minors in Public Policy and French. I am currently an ASUC* Senator, and serve as the Chair for the City of Berkeley’s Community Health Commission*. As a senator, I focus on increasing resources and empowering students of students of color, as well as the professional pre-health community. Beyond representation, some highlights of my work have been focused on improving accessibility to physical and mental health on and around campus, and improving the hate crime reporting process on campus. Through my continued work at the local level around the closure of Alta Bates Hospital, and at the UC Regents level, I have developed a nuanced understanding of how the political system works, and more importantly how as students we can work the system to get results and policies that will help us thrive, not just survive on this campus. I am running to be your next External Affairs Vice President of the ASUC because I want to elevate our voices and have them heard– and really listened to by the campus administration, the City of Berkeley, the UC Regents , the California legislature, and beyond. When we work together as students, we can make incredible things happen; like get UC Regent Norman Pattiz who was accused of sexual harassment to resign, or stop a tuition hike at the eleventh hour. There is no magic in the system, but through hard work and a lot of strategic planning we can and will make intentional strides to creating change on and beyond our campus. As your next External Affairs Vice President, I will focus my attention on three main areas. First, addressing issues at the UC/State level including tuition and misconduct related policies. Second, I will focus on making the upcoming national midterm elections accessible to students, and ensuring students are able to get involved in policy and the political process beyond voting. Finally, I will focus on empowering our student community through increasing affordable housing around campus, keeping healthcare accessible, and organizing with communities to elevate our voices. Want to know more? Check out the detailed descriptions of all my platforms below! In 2016, Sutter Health announced that they would be stopping services at Alta Bates Summit Medical Center Berkeley Campus, and instead consolidating services at their Oakland campus. This would leave the city of Berkeley, and our campus community without close access to a full services acute services hospital, or more alarmingly an emergency department. The next closest emergency department takes twice as long to get there. As a Community Health Commissioner for the City of Berkeley Nuha has already been working closely with the City of Berkeley and other partners to keep Alta Bates Hospital open and fully operational. As External Affairs Vice President, Nuha would continue to be involved with the Regional Alta Bates Task Force. Beyond this, she wants to engage and empower students who are interested in this issue to organize around the hospital closure as well as around health policy at the state level. Student mobilization around Alta Bates would involve putting pressure on Sutter Health, and working with the City of Berkeley, California Nurses Association, and the University to respond quickly to movements happening at the city and regional platforms. More broad level organizing would involve advocating for more equitable health policies, improving student health insurance plans statewide, and working on repealing the menstrual tax on sanitary products. Student health– mental and physical– directly correlates with student performance and needs to be a priority at the city and state policy level. Despite years of advocacy from within the ASUC, Berkeley is still in a dire housing crisis. Rents are rising , there is not nearly enough housing, and in the process of trying to house students we are inevitably contributing to gentrification within the city of Berkeley. As External Affairs Vice President, Nuha will continue to hold Chancellor Carol Christ accountable to her promise to double the number of beds available to students, as well as hold the City of Berkeley accountable to resolutions such as the More Student Housing Now item that was designed to remove barriers to building dense housing units close to campus. She will ensure that these projects are carried out without delay, but also that developing student housing does not displace Berkeley’s resident families and long standing community members. Increasing the supply of University owned and privately developed housing is not enough without also addressing the greater issue of consistently rising rents in the city of Berkeley. On average, rents in Berkeley have increased by 7.5 percent every year and show no sign of slowing down. As External Affairs Vice President, Nuha will advocate for more equitable rent control policies at the city and state level that take into account the fact that most undergraduate students, and some graduate students are on campus for four years or less, precluding them from many of the benefits of what few rent control policies are in place. The past year has shown that when communities come together and support those being marginalized, incredible things can be achieved as we saw with organizing around the various iterations of the Muslim Ban, among many other issues. As External Affairs Vice President, Nuha will strive to center those narratives that are being silenced and give marginalized communities the platform to uplift and empower themselves. A concrete step Nuha will take to achieve this is securing funding to establish an ASUC bail fund, which has precedent in other UC student governments past. for those who are detained during peaceful protests, and for other causes outside of their control. By removing the financial fear that comes with organizing against injustice, Nuha hopes to empower students to continuously stand up for what they believe in and organize around issues. Additionally, Nuha will work to ensure that the External Affairs office is in partnership and constant collaboration with campus and external groups that strive to protect the most marginalized communities on our campus. For instance, as the UC student workers union, UAW 2865, enters into contract negotiations with the university, the office of the EAVP will support galvanize undergraduate student support. Recognizing that UAW 2865 workers’ (GSIs, readers, tutors, etc.) working conditions are our learning conditions, Nuha will coordinate statewide turn out in support of the unions’ actions. Making voting and civic engagement beyond voting accessible for students will be a main priority for Nuha as External Affairs Vice President because of the far-reaching impact that students being involved in the political process and casting their ballot can have . This platform has two different but equally important approaches. Firstly, Nuha’s office will create a comprehensive non-partisan voting guide for students to understand exactly what local, state, and national level candidates are prioritizing; to understand the different referenda on the ballot and to ensure that students feel they have all the necessary information to cast a ballot for the candidates whose policies they believe in. Beyond this, it is essential to recognize that not all of our students have the privilege to vote. The second but perhaps more essential aspect of civic engagement will be spearheading ways in which all students can be empowered to influence the outcome of elections, and public policy, beyond elections, regardless of voter status. This will involve continuing work to keep current and future representatives accountable to students’ needs around tuition increases, affordable housing policies, and SVSH policies, among countless other issues. Every student on our campus should feel like they can be involved in the political process whether through voting, organizing protests, making public comment at meetings, or simply calling representatives. Nuha will establish systems to make this engagement as easy and stress-free for students as possible to encourage participation. With 2018 midterm elections happening in the next academic year, student voter registration should be a top priority of our next External Affairs Vice President. College students are one of the most underutilized voting blocs because of historically low turnout rate, and this turnout drops even lower during midterm elections. If we want legislators to take us seriously and address student issues, we need to show them that our votes are worth fighting for. Berkeley is gaining 10,000 prospective voters, and Nuha intends to capitalize on that. As EAVP, she will set up voter registration stations at residence halls, Sproul Plaza, and popular student hubs including MLK Student Union, Bechtel Engineering Center, Moffitt Library, Li Ka Shing, and Soda Hall. She will also provide voter registration forms to UC Berkeley Residence Halls, Berkeley Student Cooperative houses, Greek houses, and local businesses with high student traffic such as Caffe Strada, and Cafe Milano. 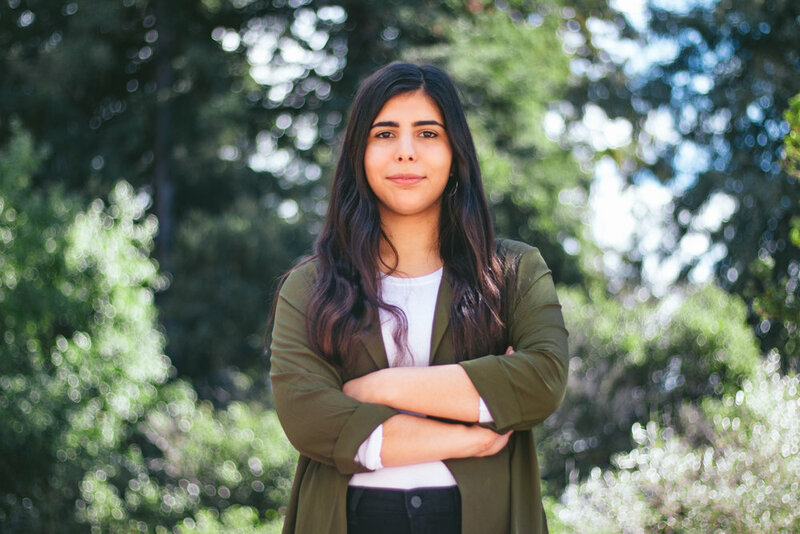 As an ASUC Senator, Nuha has already started working on building the necessary relationships, and getting the infrastructure in place, to ensure that these goals can be met, and as many students as possible can be registered. As External Affairs Vice President, Nuha will strive to make voting as accessible as possible, and that’s why she will establish a pop-up voting center on Lower Sproul. A voting center would be different from a polling place in that it would open a week before Election Day and would be a one-stop-(non partisan)-shop for voter registration, information on candidates, and referendums. There will be informed staffers present to answer any questions that voters may have around issues. On November 6th, this center would double as a polling place to ensure that students do not have to go out of their way to be able to vote. The process to establish a polling place on campus is already being explored, and Nuha has been already been in conversations around how to make this happen for the November 2018 election. In addition to a centralized voting center, Nuha will establish ballot drop-off locations in multiple campus areas including MLK Student Union, Bechtel Engineering Center, Moffitt Library, Li Ka Shing, and Soda Hall. One of the biggest barriers to student voter turnout is class. One aspect of elections accessibility is actually being able to show up on elections day to cast your ballot. As External Affairs Vice President, Nuha will work closely with the Executive Vice Chancellor and Provost to ensure that professors plan their fall 2018 syllabus to include a voting holiday on November 6. The goal will be to have a day where classes are canceled, but in lieu of this we will work to ensure that no professor will take attendance, administer an exam, or teach any new material on that day. By establishing a precedent this coming fall, the long term aim is that in all future semesters during which any election falls, voting day will be institutionalized as a holiday or a non-instructional day. UC students are currently providing more funding for the UC system than Sacramento. Over the last ten years, state funding for UC Berkeley has decreased by one-third. As External Affairs Vice President, Nuha’s office will mobilize legislative advocacy to #FundTheUC: lobbying the UC Regents to stop relying on tuition increases, and lobbying State Legislators to increase funding for the University of California system, and higher education in general, both for next year and years to come. Beyond short-term advocacy efforts, Nuha’s office will spearhead a civic engagement campaign to engage UC Berkeley students in the midterm election. In 2016-17, the UC Students Association registered almost as many students as California Calls: a progressive non-profit civic engagement network. Nuha intends to direct this capacity in support of the ballot initiative that would reform Prop 13: bringing in $9bil/year of revenue to the state by cutting a corporate tax loophole. It is essential that the next External Affairs Vice President capitalizes on the current momentum and collaboration between the UC Office of the President, the UC Students Association, and other partners. Nuha will continue to push for increased funding and tuition rollbacks in the next year. She will work to proactively keep the student body informed around blocking tuition increases and pushing for rollbacks to ensure that the student body is actively and consistently mobilized around this issue. Additionally, Nuha will work to address the state’s continued insistence on tying increasing funding to increasing enrollment. Through austerity, UC Berkeley’s enrollment has increased by 5,000 students. Nuha’s office will advocate for enrollment rollbacks at UC Berkeley as well as lobby against any further enrollment increases. The UC Regents are the governing board of University of California system. Regents are appointed for 12 year terms by the Governor, usually as a reward for support during gubernatorial campaigns. They make decisions that impact our daily lives, such as raising our tuition or increasing enrollment, but there’s no mechanism to hold them accountable to the people they are meant to serve, the students. As the next External Affairs Vice President, Nuha will work with the UC Students Association to hold the regents accountable in different ways. Firstly, she will work to instate a requirement that UC Regents have to visit at least one UC campus with an undergraduate and graduate population, and interface with students in the first year after they are appointed. She will also work to ensure that the proper due process for appointing regents is followed by the next California Governor. This is essential because Governor Brown has failed to follow these processes leading to little transparency in the appointment process. In addition, she will advocate for adding and institutionalizing student input to the regent appointment process. She will also advocate for the permanent renewal of the Student Advisor to the UC Regents position to ensure as much consistent student input in regent level conversations as possible. Finally, she will work to implement stricter regulations regarding consequences for regents who have been engaged in any kind of sexual misconduct. I believe that the student body has an immensely high potentiality to create institutional change on this campus. Student advocacy has shaped our curricula, our educational departments, and the architecture of the campus. Students voice is undoubtedly the most powerful entity on this campus, thus it is my goal as Academic Affairs Vice President to harness this power, and channel it toward creating momentus change. I want to build of the work of decades of student organizing, stemming from the 1969 Third World Liberation Front, and the movements of solidarity that unified students of color on this campus and lead to the establishment of the Ethnic Studies department. As an Ethnic Studies major I understand the importance of not only having an educational opportunity that focuses on the ancestral knowledge of non-European communities, but also having my classes taught by lecturers, professors, and graduate instructors of color. I aim to work with Diversity, Equity, and Campus Climate, Academic Planning and Resource Allocation, and Divisional Council Committees of Academic Senate to advocate for the expansion of resources to programs such as Ethnic Studies, the expansion of the American Cultures Requirement, and the tenuring of faculty of color. Ensuring the when newly established and revised academic policies are taking into consideration students affected by the Cancellation of Non-Payment Policy, and academic data and financial aid data are compiled to show the detrimental impacts of CNP. 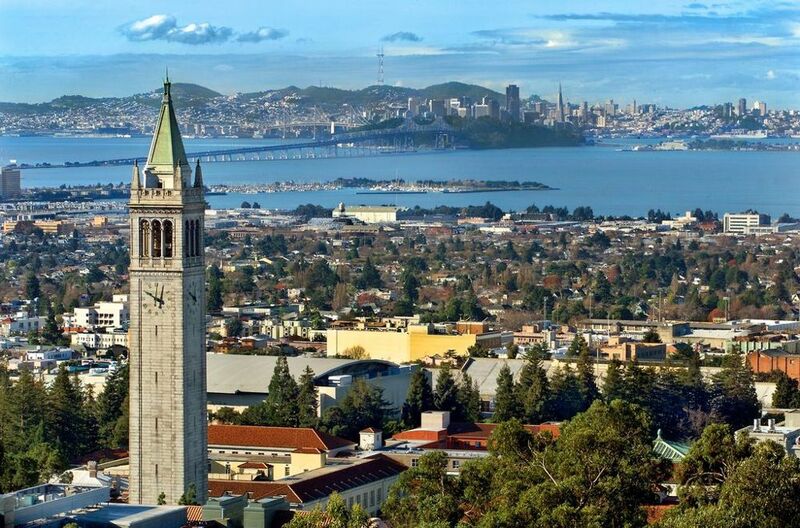 Berkeley is unquestionably difficult, and though we as students can find pride in its academic rigour, there are numerous academic policies that foster an equitable learning environment and enables all students to succeed. We need to focus on policies that act as direct detriments to students academic success and personal well-beings, and help administrators understand how those two entities work in concert with one another. Policies such as Cancellation for Non-Payment Policy are inherently classist, thus our academic and enrollment policies must be modified to ensure that they are accommodating to students that might be negatively impacted by these policies. Defend Diversity: Continue collaboration with bridges, assist in leveraging the reconstruction of Hearst Field Annex. Working with Equity and Inclusion to create pipelines between Bay Area and Central Valley Public High Schools, and Community Colleges. Disaggregating our admissions data to understand the intersectional identities of the marginalized students that attend UC-Berkeley. Encompassing more data about students socioeconomic status, family history of education, and including a wide breadth of ethnic/racial identities. Hey there! My name is Tashie Williams-Powell. I am a Black, African American, single parent, older re-entry, differently abled student (physical/ mental health), body positive, non-denominational Christian, bisexual female, and an individual who is running for ASUC senate! These are the parts of me that shape my core values, which are rooted in faith, advocacy through representation, and a diverse community. While I’m excited about my number one public University bragging rights, my path to Cal was not easily paved. I flunked high school, barely made it through continuation school, and put off college enrollment for 8 years until reality hit that I had no career goals and that I was going to be a single parent. I’m constantly crossing paths with individuals who have similar experiences, whether it be an older adult pursuing higher education, a single parent desperate to improve the quality of life for their offspring, or a student who pushes through their coursework despite personal struggles. I am a nontraditional student in so many ways and I understand the relentless courage, determination, and sacrifices that are made in order to survive and thrive! Unfortunately, although we exist, there are still many areas of opportunity to improve how systems operate towards effectively communicating with and supporting the nontraditional student body. When I transferred to Cal as a Spring admit in 2017, I felt stuck and lost in an environment that I knew little about, and an environment that had less effective ways at making me feel secure. While there are centers for re-entry/ transfer students, student parents, and disable students, I was still struggling at the intersections of being a non-linear student and person of color. Coming to Cal at the height of fear post the United States Presidential Inauguration was a scary time for me. I did not feel like I had the support that I needed to succeed academically at the University and I felt discouraged about my future. Seeking a sense of belonging and community, I got involved with the Village Residents Association as their secretary and quickly began to notice ways that family housing residents also experienced the same feeling of disconnection that I felt as a nonlinear/ nontraditional transfer student; unrecognized, unrepresented, and ineffectively accommodated. During the year that I have been at UC Berkeley, I have experienced so many setbacks. Just like my path to higher education, the road to keeping my good academic standing at Cal has been hard. I watched as my peers missed classes because they were afraid to come to campus during free speech week; deemed hate speech week. I watched as my peers’ testing needs slipped through the cracks without proper proctoring schedules for exams. I watched differently abled students get ostracized for requesting their accommodations as many times as they needed to access them. I watched as my peers bore the brunt of misinformation in regards to their financial aid and withdrawal processes. And I watched as students in family housing experienced power outage after power outage, dealt with mold, recurring theft, and inflated fees with little to no support from the University. I watched all of this despite experiencing many of the same issues, including limited child-friendly spaces and poor mediation and resolutions as a student employee. The level of discord and the amount of times that I have watched helplessly led me to stop watching and start doing, which is why I am a senate hopeful. I’m all for transparency, so just as I stated earlier how I felt lost in an environment that I knew little about, that’s almost how I feel about this journey towards becoming an ASUC senator. Except the part about being “stuck” in an unfamiliar environment is replaced with the bravery in taking responsibility and action for something I am so passionate about: community advocacy! I may not know much about bureaucracy, politics and policy, but I know my experiences and I know that there needs to be someone on board willing to hold a place for nontraditional student representation. I have a lot going on as a single student parent, we all do (no matter our demographics), but I am committed to bringing about meaningful change for our underserved communities. In realizing many of the intersectional failures of the University, I believe that there needs to be more cohesiveness between campus leaders and departments so that the Cal experience for nontraditional students is enjoyable, navigational, efficient and sufficient, especially at the level of financial aid. The stigmas against student parents, disabled (differently abled) students, older re-entry, and transfer students come out in ways that are oppressive and passive. Passive in observing that nontraditional students have many factors that impact their daily lives, yet are expected to accomplish and process things in the same way and amount of time as others who do not relate to the nontraditional student experience. As a single student parent, sometimes I am unable to give my professors advance notice of needed accommodations. However, I am entitled to those accommodations. The same should be said for campus policies that affect nonlinear students and their finances, because we should still be entitled to accessible resources and information about financial aid no matter what. However, when those systems of support are not efficient or effectively communicating and considering unique student struggles, students become misinformed, misguided (or not guided at all) and overwhelmingly stressed. When a student’s unit count drops after financial aid packages are awarded, it becomes the responsibility and burden of the student to repay the University any overpayment of funds on their account. I plan to implement a lowered unit fluctuation that allows students to withdraw from courses and receive a grace period for repayment of fees and other related school costs. This grace period would be able to be used to postpone other outstanding balances, such as past dues charges and rent. But most importantly, this grace period would allow the student to utilize all other resources to cover costs instead of having the balance immediately reflect on their account. For instance, any amount of the individual’s student parent grant funds can be expedited to cover rental balances and unpaid fees. Additionally nontraditional students could have access to a simplified system that expedites cost of attendance adjustment forms based on needs expressed during enrollment and in their FAFSA applications if applicable. My hope is that the grace period and lowered unit fluctuation will reduce the stress associated with figuring out student schedules and filling financial gaps. My hope is to implement mandated cross training and orientation for campus leaders so that departments remain knowledgeable and transparent in effectively communicating with students who have mental health, physical health, and disability support needs. If it’s intersectional for us as differently abled and nontraditional students, the system should also be aware and ready to support us at those intersections. I will aim to create three systematic changes in regards to disability support; those being 1) improved student-counselor interactions through Counseling and Psychological Services, 2) medical withdrawal/ leave of absence support and 3) health coach support geared towards destigmatizing mental health and improving quality of life. In improving the student-counselor relationship and interactions through CPS, I will seek to implement new systems of communication that require counselors to contact a student if a scheduled appointment is missed. It is unfair that students are charged a fee for missing an appointment, but are rarely reached out to in order to see how they are doing mentally/ emotionally or physically despite them missing their appointment. This change would show students that counselors actually care about their well-being above the no-show fee associated with missed appointments. Mandatory training for department employees holds the University accountable for providing accessible information and accommodations for differently abled students who rely on the aid of properly trained liaisons who are aware of drop deadlines, the medical withdrawal process, as well as the fiscal disadvantages in addition to the readmission process should a student take a leave of absence. Additionally, all information provided to the student should be concluded with a signed information consent form to assure that students are receiving correct information and understand the risks and benefits associated with leave of absences after consulting with University Health Services/ Tang, EOP, DSP, etc. Direct services, such as health coaching, is available through University Health Services that hold nutrition workshops and sexual health education, however, it is important to offer the same services in a capacity that helps improve the quality of life for students who face struggles that affect their mental health. I would like to implement health coaching workshops and sessions that focus on things such as combating imposter syndrome, stress management, and inlcuding coping skills that lead to better grounding. Additionally there could be health coaching that assist students in the readmission process after coming back from a leave of absence or medical withdrawal. When I moved to University Village, I was immensely thankful for the friendships I formed with fellow Village residents. However, the support that I received as a Village resident was limited to just that. It seemed as if The Village operated separately from the University itself. It seemed as if the families living in The Village were all that we had, and that was not a good feeling when we came here with the idea that Cal would be there to provide secure affordable housing. This year I helped the Village Residents Association establish board member committees to focus on recurring resident concerns and experiences. Some of the unfortunate issues that residents experience are theft and burglary. While that is out of the control of the University, there should still be a sense of security. Residence halls recently received camera systems, yet family housing is left unsecure while bikes, vehicles, mail, and other personal property becomes damaged and stolen. Understandably, the logistics of family housing security is significantly different from residence halls, but there are far more things that the University has neglected to provide for Village families, and that families are forced to provide for themselves. Personally, I believe that if the University can provide funding to renovate the Memorial Stadium Fitness Center after the tile flooring failed to meet health and safety standards due to the adhesive being defective, then I believe the University can also provide funding to improve unfit family student housing. While these are a few of the things that residents are experiencing, they all contribute to an insecure family housing experience. My intent is to begin an ongoing dialogue with the Village Residents Association, the Chancellor’s Advisory Committee for Work and Family, along with my CalServe team to open up important dialogue around the family housing experience while advocating for less financial and emotional strain on Village Residents and demanding healthier, happier, safer living environments for student families in The Village. Village security goes beyond UCPD, it’s about truly supporting and offering the best to our family housing community which includes many young children. Village families should not have to come out of pocket to replace food due to consistent power outages that last for more than 24 hours. Residents should not have to provide their own security cameras because of recurring theft. Residents should not have to deal with their loved ones in the hospital and suffering because of a below standard living environment that leaves them susceptible to the harms of mold. Residents should not have to incur additional stresses over things that are required by any landlord, like a functioning and fully livable home. And most importantly, Village residents and student families should not have to demand that the University be held accountable for providing truly affordable housing. Because while family housing is marketed as a significantly cheaper living option for student families, residents are being exploited by having to shell out $20-$30 per lock out of their unit and fees to borrow a carpet cleaner to clean the old carpet in their unit. It’s time that the University start taking more accountability for student families. Hello! I'm Angelica Santos. I am a second year student studying Environmental Science and South & Southeast Asian Studies. My parents immigrated here from the Philippines, and I was born and raised in San Diego. I am running for ASUC Senate this year as the Pilipinx Community Endorsed Senate Candidate. 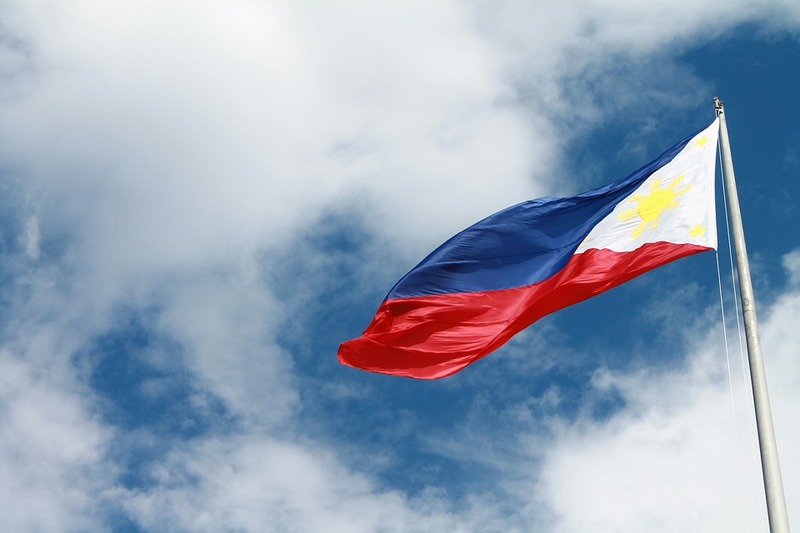 As a child of immigrants from the Philippines, gaining a deeper understanding for my identity as a Filipina-American was a huge goal I made for myself during my time in college. I have found my home at Cal in the Pilipinx community, and have found academic satisfaction in declaring South and Southeast Asian Studies as one of my majors. While both students and the Philippines studies lecturers have put a tremendous amount of effort into making a place for Pilipinx students on campus to survive and thrive, the university still does not support our existence and interests on this campus. The Philippine studies courses are now taught exclusively during the summer sessions and the Chancellor has expressed her lack of support for language courses as a whole. Additionally, when listing the university’s support for targeted campus communities in the light of Free Speech Week last fall, the Vice Chancellor of Equity and Inclusion failed to include Asian/Pacific Islander in this list of marginalized communities on campus. Through my work as a Senator, I will advocate for the needs of Pilipinx students on campus and demand that the administration take these needs seriously. As a student of color, I understand that in order to completely dedicate myself to the needs of my community, I must also ally with other marginalized communities, regardless of whether I personally hold these identities. My goals for investing in Pilipinx education at UC Berkeley include reinstating Philippines studies courses during the fall and spring semesters, and ensuring that Pilipinx students and organizations have access to resources in order to thrive. I have struggled with my mental health on and off since middle school. Entering the rigorous and large campus community of UC Berkeley caused me to struggle to maintain my well being, especially during my first year here. During a time of crisis, I tried making an appointment to see a counselor using the Counseling and Psychology Services at Tang, only to find that I needed to wait a week to make a triage appointment, and then wait an additional two weeks for an opening to meet in person with a counselor. I find that while the university boasts about students having access to a certain number of free counseling sessions throughout the year, having to wait so long for one of these free sessions contradicts the goal of accessible mental health services. Especially within communities and families of color, discussing mental health can often be a taboo topic, so eliminating as many barriers for marginalized students to access mental health resources is imperative. My goals for increasing the accessibility of mental health resources include creating an automated online chat service that helps students through a crisis by directing them to on-campus resources, increasing awareness of mental health resources to marginalized communities, and starting a Pilipinx-API Mental Health Initiative to get a counselor and resources catered to our experiences. I severely underestimated the cost of textbooks and class resources when initially budgeting for college. As the first in my family to attend college in America, I lacked the understanding of all of the small necessities required to succeed within this institution. As a STEM major, I have purchased lab manuals, molecular model kits, textbooks, and access codes just so I can do my homework. As a humanities major, I have had multiple classes at a time require me to purchase four novels and required readers. I know that affording required class materials on top of tuition is overwhelming for many students, and I hope to alleviate some of these issues through my work as a Senator. My goal for yielding academic resources includes creating a free textbook rental program through the ASUC, similar to the iClicker rental program that already exists. *Titles for identification purposes only, and do not signify endorsement. Hi, my name is Idalys! I am a low-income first-generation Central American womxn studying Economics with a minor in Education in my second year here at Cal. I want to eventually focus on education reform for K-12 students, because as a student of color, I know how necessary it for our communities to receive racial equity. In term of my involvement in the Latinx community, I have been involved since my freshman year. I have been a part of LBSA*, Hermanas Unidas*, and the Latinx Caucus*. However, my greatest involvement has been with Central Americans for Empowerment (CAFE)* as the Director of External Affairs. I was able to work alongside others across the UC to help build a Central American coalition as well as work with other Bay Area grass roots organizations such as NISGUA* that do work for our Central American countries back home*. As for the ASUC, I was an intern last year within the Organizing Department of the EAVP office. Whether it was canvassing for preventing the closure of Alta Bates Hospital Berkeley or standing by AFSCME* at their rallies and supporting the rights of our UC workers, I was able to broaden my knowledge of our institution here at Berkeley. I am currently the UC Students Association* campaign operations manager within the ASUC External Affairs Vice President Office. * This role is linked to the removal of UC Regent Norman Pattiz, who was accused of multiple instances of sexual harassment. I was also an active part of the organizing work that delayed the vote on this year’s tuition hike. I plan to continue working on these vital issues and others that affect marginalized communities on campus in my remaining time here to help ensure this campus is accountable for providing an equitable education to ALL. Under Betsy DeVos’s Title IX Repeal and the current regulations that are being enforced on our campus, there needs to be more accountability for sexual assault and violence on both the city and campus level. In November 2017, myself and students were able to mobilize on bringing others to the UC Regents Meeting to address the lack of accountability of UC Regent Norman Pattiz’s sexual harassment allegations. After all our organizing efforts we were able to get the regent to resign from his position. I would use my power as an ASUC Senator to work with the administration to effectively enforce non-tolerance policies, and hold those who violate these policies accountable for their actions. This issue is very prevalent throughout college campuses, and the ASUC must take a more concrete stance, and take tangible steps on this issue on this as this impacts the lives of all students at Berkeley. Along with providing more on campus confidential services such as individual counseling, support groups, and other resources that can help survivors, it is also vital we as a campus start bringing more awareness to the issue of sexual violence. Additionally, I will work closely with the City of Berkeley to enact more city-wide policies and programs that can ensure the safety of individuals. Accessibility: Not only is it already extremely difficult to get an appointment to talk to a financial aid advisor, but the office has also stopped opening on Thursdays. How are students supposed to get their needs addressed when the only way they have a chance of talking to a financial aid advisor is by standing in line at 8 am the day that they’re hoping to get an appointment? Through staff- expansion this could vary from more work-study student advisors to more full-time financial aid officers as a way to address all students simple or complex financial aid cases. Awareness: Bringing awareness to issues such as the discrepancy in financial aid calculations will help rally students in action against these inadequate resources. And mainly be able to collectively push the end to the discriminatory “Cancellation for Non-Payment” (CNP) policy. It is pertinent that this campus recognizes the equity and safety of all when it comes to just being able to go to our classes and pursue an education. Therefore, it is crucial that our administration keeps ICE and other forms of militarized police off campus grounds. I aim to push for these changes in policies and regulations through working with the city and building a coalition that also supports the overall safety of our students as well as holding our campus administration accountable for their actions. Furthermore, it is vital that we also address the accountability of the UC Office of the President, and ensure that UC President Janet Napolitano is matching her rhetoric when it come to assuring the safety of students. Working alongside the UC Students Association, we will build more unity on working towards these system-wide issues and overall ensure that we are collectively elevating the voices of all students, especially those who are the most marginalized, across the UC. My name is Sarah Abdeshahian and I am a second-year majoring in Political Science and Economics. I am currently serving as the Chief-of-Staff to the External Affairs Vice President and the Communications Director for Student Regent Monge. Some highlights of my work have been writing and advocating for an amendment to Regent Policy 7102 on Chancellor Search Committees, helping the UC Student Association form and reveal the UC Regent Report Card, advising the UC Student Regent on the formation of the UC-wide Title IX Student Advisory Board, serving as UC Berkeley's delegation leader for the 2018 Students of Color Conference, leading efforts to stop the tuition hikes, and calling for the removal of Regent Pattiz...and succeeding. I am running for ASUC Senate because my work is not done. This space is flawed but it is powerful. It can mobilize students, create policy, set precedent, and make changes on this campus, but it can only be successful with genuine leadership and community outreach. And that is what I intend on working on as I move to "decolonize, organize, mobilize," empower womxn of color, and hold UC Regents accountable. Many student activist spaces are fueled by elitism and exclusivity, in turn leading to inaccessibility and immobility. Sarah will work to decolonize student activism. She wants to make the space more welcoming to newcomers by creating an educational atmosphere. This will be accomplished through the continuation and expansion of the Grassroots DeCal, which Sarah helped create within the EAVP Office. She believes that this DeCal is beneficial for folks who are interested in organizing around issues that they are passionate about, but are not sure where to start. She will improve the DeCal through more collaboration with local activists and increased publicity of the opportunity. She plans to set up recurring Organizing 101 trainings in order to provide a less intensive, more accessible opportunity for students to learn more about student activism and student power. In 2016, the UC and the Secretary of State signed a Memorandum of Understanding (MOU) to increase student voter engagement. Due to the lack of progress on this MOU, we need to take strides to register students to vote on a campus-wide level. This can be materialized through student voter education trainings at Golden Bear Orientation. Furthermore, it is important to move beyond just registering students to vote; we must make sure that students are making informed choices on the ballot. Sarah will set up civic engagement workshops in the lead-up to the 2018 midterm elections, which will provide a non-partisan, political-jargon-broken-down overview of each issue on the ballot and allow students to better understand what they are voting for. Following the election, Sarah will continue to have dialogue and organize action around ongoing policy changes in order to create a more informed and politically active student body. Mobilizing Mondays will be monthly days of action during which students will collectively organize for a specific issue. Sarah will take ideas from the general public via survey in order to see which issues are most pressing at the time. Mobilizing will take the form of phone banking, letter-writing, sit-ins, protests, and anything in between and beyond these methods. This will be an opportunity for students to work together to show their support or opposition to policy issues that inevitably affect us as students and as people. This will be the time for students to show their power and remind lawmakers that we are here, and when we come together our needs cannot be ignored. A conference specifically catered for Undergraduate Womxn of Color is essential for identity exploration, self growth, and coalition building. However, it is imperative for communities and stakeholders to be present at every step of the planning process. As a delegation leader for the 2018 Students of Color Conference, Sarah has witnessed first-hand the downfalls of a conference that aims to serve communities without first consulting members of these communities. In the creation of this conference, we hope to create a safe space for WoC within a University that has consistently mistreated them. However, we also want to make sure that there is a dialogue about the inherent anti-blackness within our communities. This conference will act as a complement to the Graduate Assembly’s Empowering Womxn of Color Conference, as it provides a separate, student-driven space for undergraduate WoC to battle campus-wide issues. This conference will explore topics that disproportionately affect womxn of color and will serve as a space where womxn can work together to empower themselves and one another. Sarah will work to institutionalize this conference within the ASUC and UC Students Association to ensure continuity in future years. The establishment of the UC-wide Title IX Student Advisory Board was a massive step forward in strengthening Title IX policy by giving students a seat at the table. However, for years, UC Berkeley has failed to comply with Title IX in regard to campus sexual violence disciplinary procedures. The establishment of a campus-wide Title IX Student Advisory Board would provide an additional space for UC Berkeley students to advise campus administrators on the needs of the students- the primary stakeholders of the University. This board would be integral in keeping administrators accountable to Title IX policy as well as allowing students to create policy that builds off of what is already in place. Students have historically led and will continue to lead efforts against mishandling of sexual assault claims, and the establishment of a Student Advisory Board is only the first in many steps our campus needs to take to expand student influence on a policy level. Womxn of Color have historically been underrepresented in graduate school. Sarah will work to provide greater graduate school resources for WoC in order to make it a more accessible option for womxn-identifying students. The establishment of a graduate school resource fair featuring different graduate programs, test preparation options, and schools would be one way in which Sarah will work to promote the recruitment of WoC for futures in academia. She will also organize application workshops hosted by current women of color in graduate school that will be essential in helping WoC move forward with hopes of attending graduate school. Additionally, at an institutional level, Sarah will work with the Career Center and L&S Advising to ensure that WoC are being prioritized when policies around professional development, and that there is consistent outreach to our communities. Sarah will work with them to demystify the process of applying to graduate school through creating a comprehensive guide on the Career Center website that is focused on supporting womxn, and-more broadly- people of color. The Board of Regents is the governing body of the UC. As such, they should be treated as our legislators. 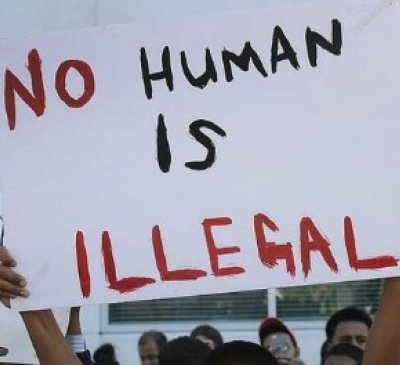 However, they are instead treated like an untouchable, overarching force; let’s change that. Sarah will increase student turnout at UC Regents meetings by publicizing when they are happening, where they are happening (UCSF), and working with the Office of the External Affairs Vice President to provide transportation. Included in “turning out” is “speaking out.” She will maximize the number of students that make intelligent, well informed public comment in order to ensure that Regents hear as many student voices as possible during the amount of time that is allotted for us. Additionally, from the vast experience she has gained as Communications Director for UC Student Regent Paul Monge, the students’ greatest ally on the Board, she will encourage and support students to be a part of the StAR program– a program that gets students behind the red tape at every regents meeting and allows them to talk to the UC Regents about the issues that matter most to them as students and as individuals. Regents are not required to make campus visits, and the majority of them will never do so. We must ensure that Regents spend adequate time engaging with students and seeing what our campuses really need instead of playing a guessing game at each Board meeting. Recently, Sarah was a part of the creation of the UCSA Regent Report Card and the Regent Visit Handbook, which track how engaged the UC Regents are. Regents will now be publicly shamed for not making campus visits. Sarah intends to capitalize off of that, and will set up “Talk to your UC Regent” Town Halls in order to make UC Regents witness how their decisions impact their constituents. This will also give students a unique opportunity to engage with decision-makers that we so often have little access to. The Board of Regents constantly pushes off the responsibility of basic needs security to the Campus and City level. However as the primary decision making body of the UC, they should also be held accountable for allocating adequate funding for basic needs resources. We must push for the Board of Regents to take housing and food insecurity more seriously (some of them do not even realize Berkeley is in a housing crisis). It is their responsibility to start taking steps to alleviate this major problem. Sarah will work to lobby the UC Regents and the UC Berkeley administration to create policy based off of the actual cost of attendance, taking tuition hikes off the table, and allocating more funding for housing. We need to keep the Board of Regents accountable to providing basic needs for their constituents. This body should be serving the students of the UC. My name is Teddy Lake, I'm a second-year intended Political Science major and English minor. I was born and raised in Los Angeles, where I graduated from the Los Angeles County High School for the Arts as a theatre major and the elected head of the department. In addition to being a student here at Cal, I am also employed as a philanthropic advisor by The Artemis Agency (an all-female advisory firm that assists high-profile clients in their charitable endeavors). Through my job at Artemis, I've been fortunate enough to collaborate with and manage events for such non-profit organizations as: the TransLatin@ Coalition, Bring Change 2 Mind, and The Jenesse Center. As a lesbian woman myself, I'm extremely proud to be the queer/trans community's slated candidate for the 2018-2019 ASUC Senate. I do not take the endorsement of my community lightly and, accordingly, plan to work proactively and diligently to uphold this honor— humbling as this endorsement may be, I see it more as an aspirational title than it is an assured one and will work constantly to maintain this distinction. Above all, it's a privilege to have been selected to serve on behalf of such an irreplaceably magnificent group of people. The queer/trans community means so much to me and I look forward to being the effective and relentless advocate that LGBTQ+ folks deserve, both on this campus and elsewhere. Despite this institution’s hyper-progressive reputation, UC Berkeley’s administrators tend to trivialize issues pertaining to the queer/trans community on campus, as if such matters are somehow less worthy of their attention or effort. The battle for vital QARC facilities, for example, was galvanized entirely by brave student leaders, who— in defiance of Berkeley administration— refused to take no for an answer. As an ASUC senator, I pledge to alleviate some of that pressure by using my platform to put myself on the line in defense of the wants and needs of the entire queer/trans community. Specifically, through the facilitation of twice monthly LGBTQ+ student town-halls promptly followed by thematically-linked meetings with the Vice Chancellor of Equity and Inclusion and the Vice Chancellor of Student Affairs, I believe that my office can accurately and articulately carry forward the time-sensitive, pertinent issues facing the queer/trans community on campus. I will relentlessly demand accountability from our administrators on such matters as the QARC renovations timeline, the availability of gender-neutral bathrooms on campus, and a host of other issues facing the LGBTQ+ student body. My office will dedicate itself to confronting our administrators whenever necessary, so that Cal’s Queer/Trans community can focus less on surviving and more on thriving. Necessary as it may be, the fight for survival against a systemically-oppressive society is fundamentally exhausting and, moreover, detrimental to one’s mental health; while the majority of my efforts as an ASUC senator will go towards this battle for the protection of queer/trans students on campus, I also intend to direct much of my work towards the emotional empowerment of our irreplaceably beautiful community. Specifically, I will dedicate a faction of my office to Community Empowerment, in which staff members will conceptualize, create, and circulate uplifting material and media— for example, an online and in-print publication— aimed at inspiring LGBTQ+ identifying students at UC Berkeley. From monthly, themed photo campaigns to written featurettes highlighting student accomplishments, my office’s Community Empowerment Division will work tirelessly to better the queer/trans community’s sense of self-worth. More than just content though, the Community Empowerment Division will also facilitate accessible gatherings and events aimed at inspiring and lifting the collective spirits of the queer/trans community on campus: whether it be open-mic nights, dance parties, or study jams, these socials will unify our community upon principles of tolerance, love, and resilience. This push for positive representation will unite our community, so that we move forward reaffirmed in our self-worth, stronger than ever, and ready to take on each injustice that comes our way as a united, unstoppable force. Like so many institutions, UC Berkeley’s efforts to curb sexual assault are largely ineffectual: perpetrators hardly ever see justice, survivors feel discouraged to report, and the cycle of violence continues uninhibited. To make matters worse, statistics reveal that queer and trans people face sexual harassment and assault at a disproportionately high rate, in comparison to heterosexual and cisgender counterparts. While these assaults are despicable across the board, queer and trans students on campus often feel particularly isolated following their assault, as this university embraces a highly cishetero-normative definition of sexual violence. 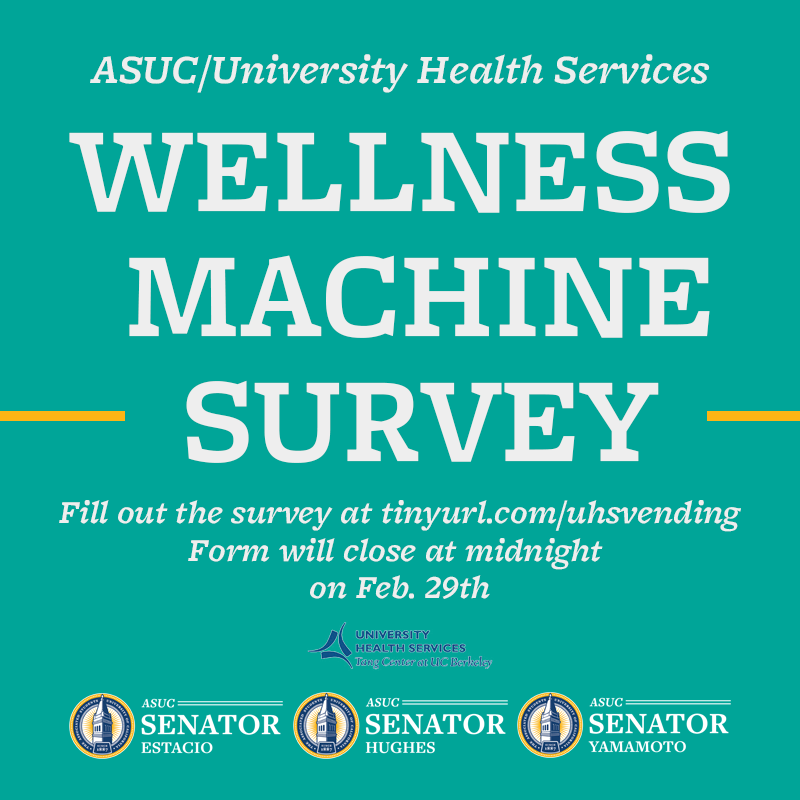 As an ASUC senator, I will alleviate some of the enormous emotional distress placed upon survivors by commissioning a Survivor Sponsorship Program: essentially, this program would provide a space for survivors of sexual violence to connect with a mentor, who understands their experience and can coach the sponsee through effective healing strategies. Though the Survivor Sponsorship Program would be open to all students looking for guidance, the program would be particularly useful to queer and trans survivors, as they’d be able to communicate with a mentor who understands the way identity factors into these acts of violence. My office, through the creation of the Survivor Sponsorship Program, will also aim to revitalize the ASUC Commission on sexual violence, so that we might effectively collaborate to make meaningful change. In the wake of such devastating trauma, it’s absolutely critical to remind survivors that they are not alone— the Survivor Sponsorship Program would see to it that no one has to navigate these circumstances without a shoulder to lean on. *All titles for identification purposes only. Hey there, my name is Amir Wright, I'm a second-year Political Science major from Los Angeles, CA. Since my late childhood, I knew I wanted to make change for the better, in some capacity, however I could. Over time, that drive developed into a desire to advocate for people and create improvements in their lives. Now, I am running to represent you in the ASUC Senate. Why? I want to make positive, measurable change in people's lives. I began my efforts to make that happen in late 2017, when I was appointed to the City of Berkeley's Housing Advisory Commission. In that capacity, I continue to push housing policies that support student housing opportunities and developments. In the ASUC I took a role as the Director of Senator Hussein's Financial Wellness Department. As Director, I began to work closely with the Office of Financial Aid and Scholarships to alleviate confusion among the student body regarding their finances and increase student awareness of funding opportunities. In the Black Community, I saw firsthand the effects of Free Speech Week on student health and morale. As an ASUC Senator, I will have the resources and platform to begin talks with UCPD regarding their presence on campus. I am running for ASUC Senate because I will be able to continue the work I already do on campus, and I will be able to begin new projects that I hadn't previously been able to take on. I am more than qualified for the position, and have experience at the State, City, and University levels of government. I am well-connected with key campus personnel; relationships that I can leverage as an ASUC Senator to drive change in the areas that I seek to improve. As your ASUC Senator, rest assured that I will dutifully serve as an advocate for your issues and a voice for those without one. Thank you for your continued support. During Free Speech Week there were hundreds of armed riot officers, trucks armored with quarter inch steel plates, barricades, and other tools of oppression. All of this came at a cost of almost 4 million dollars. This was a detriment to campus both financially and psychologically. People told me they didn’t feel comfortable or safe even coming to class that week. Professors cancelled classes. Students were scared. This is not and will not be the climate we allow on campus. I am calling for UCPD to demilitarize and shift into a peacekeeping role rather than one of control and oppression. Why does a campus police force need to brandish rifles and grenade launchers on the students they are supposed to be protecting? What would this demilitarization look like? It looks like meeting with UCPD personnel and establishing a plan of action. It looks like meeting with Captain Alex Yao, whom I’ve already met and can potentially allow me to meet with Chief Margo Bennett. Through her, I see potential for real change in UCPD. Not only will this improve the campus climate for Black students and immigrants, but for the campus community as a whole. Why does UCPD disproportionately target minorities? How can we combat the institutionalized racism perpetuated by our own police department? We need to train our police force to appropriately interact with members of different cultures and identities. At current, they don’t seem to protect minority communities as much as they should. This could manifest itself in the form of a refusal to participate in Urban Shield Training, and instead hold alternative, sensitivity training, where officers will learn how to properly interface with students. Support and passage of City Council’s More Student Housing NOW Resolution. I had a substantial role in compelling the Planning Commission to hear this item in the first place, and I gathered students at their meeting to speak out in favor of the Resolution. While we won that night, the fight is not yet over. Among other things, this Resolution would remove City barriers to development of student housing. As closely as I have worked (and continue to work) with this and other City housing items, I have yet to take my work to the ASUC in any real capacity. If elected, I will be able to advocate for, start, and rally support for items just like this in order to increase student housing availability. This starts with my appointment to the ASUC Housing Commission. There, I can bring my city experience together with my campus experience and create real change. “How did you find your housing?” “Where did you look?” “Who did you talk to?” These are the questions I get asked by students looking to live off-campus next year. Many go into the process blind and have no real idea of how to find a house, what to look for, and what they can afford. By increasing accessibility, I want to demystify the process of looking for housing. What are their options? What are the laws of the City and the State? What is Costa-Hawkins? What does it mean for students? Are they eligible for Section 8 vouchers? Again, I can bring my City experience to this role and help students understand exactly what they are getting into. When a student takes out loans, they are selected by the Office of Financial Aid and Scholarships for a process called ‘verification.’ What this means is that students can spend weeks without their financial aid awards while the campus takes steps to verify their package. This process does not need to be this cumbersome and no student should have to go for so many weeks without money to sustain themselves. If elected, I will meet with the director of Financial Aid and Scholarships and work on potential routes to streamline this process and shorten the period in which students go without funding. In the event that the process of verification cannot be streamlined at all - which is possible given that it is mandated by the State - or that we cannot streamline it enough, I want to establish procedures for emergency funds to be disbursed for students who are selected for the verification process. Currently, there are two types of emergency loans available, but neither is guaranteed to cover all of the expenses students incur. Furthermore, a $20 administrative fee is assessed for each emergency loan application. Students should not have to pay more money to receive money that they already should have received. I will continue to work with the Financial Aid and Scholarships office in order to explore potential avenues to address this issue. Hi bears! I'm Justin Illescas, or also tatin! I am a third-year junior transfer from Cerritos College down in SoCal. I come from Downey, CA, which is in LA county if you're not familiar with it. I am majoring in Anthropology and hoping to squeeze in a French minor. I am currently working in the office of ASUC Senator Juniperangelica Cordova! I am running for an ASUC Senate seat because I believe I have strong qualities that demonstrate leadership. I have worked as a Senator at Cerritos College, and through my work there as a Senator I have gained skills that are required to effectively initiate change on a campus. My work as a Senator will reflect upon challenges I directly experience because I am: differently-abled, a transfer, queer, and a first generation student. My efforts as Senator will be to uplift all underrepresented communities. As a differently-bodied student, I struggle to accommodate myself to complete basic tasks. I know other differently-abled folx do as well. As a Senator, I will ensure that differently-abled students are at the top of my priority. UC Berkeley began 149 years ago; ADA began in 1990. Cal needs to go through a school-wide revision of ADA accommodations. Elevators in certain buildings break down at random times and constantly need repairments. I will initiate conversations with administration and proper program directors for the University of California, statewide, to undergo a campus wide revision of ADA compliance. I also will work with the Disabled Student Program (DSP) at Cal to provide students with equipment that specifically aims toward aiding students in and out of the classroom. This would consist of bringing equipment that helps students travel to class much easier, along with devices that are yet to be considered for a classroom setting. In regards to working with the DSP, I will also work with the program to efficiently allow students to meet with intake counselors before a doctor’s note is needed to enroll in the program. My efforts as Senator will also include bringing back the Disabled Student Residence Program, which worked on getting students adjusted to living on their own. The program will aim toward aiding students in all residence halls and co-ops. As a Senator, I will push for a Differently-Abled Student Development Center, which would aim toward actively aiding students that identify as differently abled. Transfer students learn about many benefits Cal has to offer, but through other students. This demonstrates a lack of outreach to transfer and other RTSA students. As a Senator, I will work on mobilizing transfer students for equitable representation across campus. I will push for efforts to create transfer spaces in all colleges at UC Berkeley, expanding much more than just the Transfer Center in Cesar Chavez. My work will also include initiating the discussion that transfers and student parents need their own spaces. Currently, both student groups share space in the Transfer Center. Student parents need their own space because their needs are much different than those of transfer students. I will also work with New Student Services to provide transfer students with a more tailored Golden Bear Orientation. This extends to working with New Student Services to also provide transfers, along with the general UC Berkeley population, a cyber and physical platform where community members may publish rent listings to find secure and affordable housing. As a Senator, I will work toward mobilizing transfers for more equitable representation across all of UC Berkeley. When I dealt with Financial Aid at UC Berkeley, I found myself ignoring the pressing issues I had because I found them to be difficult to meet with. Financial aid is a large factor for students when deciding to go to school. My work as a Senator in regard to Financial Aid is working toward a more transparent, visible office. My efforts will be working with the Financial Aid office to provide students with more transparency in their services and benefits they have to offer for students. This looks like better outreach to students about their programs, as well as creating simpler methods to meet with them in person. My work will also extend to making the Financial Aid office more accessible. This looks like permitting students to sign up in their queue on a digital platform, instead of in person. As a Senator, I will also work for more scholarships aimed toward queer/trans and first generation students. I will push for program expansion that already provide queer/trans and first generation students with resources and services to aid folx in having a more affordable education.